After the tryptophan from the holiday turkey has set in and the remains of your feast are surrounded by crumbs on a messy table, leftovers may be the last thing on your mind. But if you plan ahead, finding innovative ways to re-use your Thanksgiving, Hanukkah or Christmas meal can be effortless. Food expert Sally Bernstein -- who runs Sally's Place, a website of information, commentary and tips on food -- offers some great ideas that will make your holiday meal the gift that keeps on giving. Take the traditional turkey meat sandwich a step further and use leftover turkey in any dish that calls for a protein. 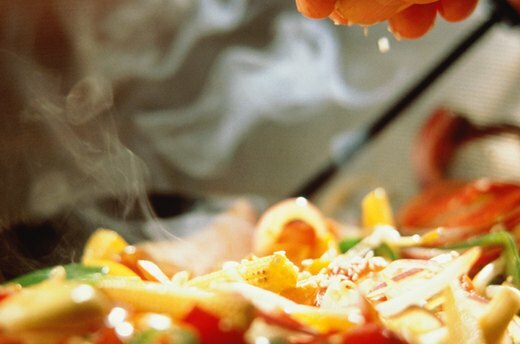 You can cut up turkey for salads; shred it for a pizza topping or a quesadilla filling; or make turkey tetrazzini, a turkey casserole, Bernstein says. Other ideas include turkey potpie and turkey jerky. After you've completely carved the turkey, save every piece of bone to make a delectable turkey soup. Simply boil the bones in water with some seasoned vegetables (or chicken broth) for an hour or two until it tastes delicious and then strain out all the bones before serving. 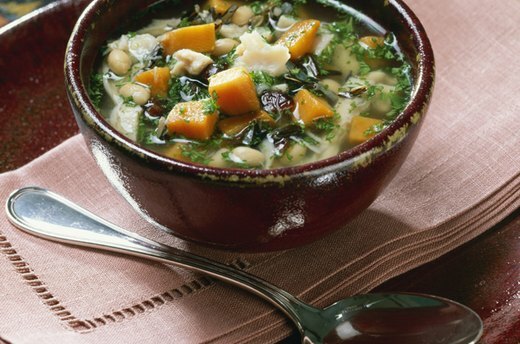 Pour the soup in bowls and add bits of turkey and vegetables or noodles. 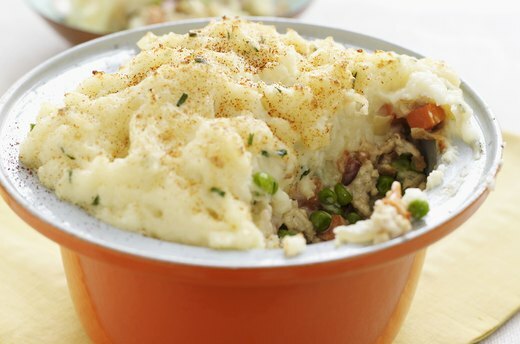 Save leftover mashed potatoes to use as the topping of a shepherd's pie. The classic British dish calls for placing cubed lamb and peas and carrots in the bottom layer of the pie, which is then topped with mashed potatoes and baked, Bernstein says. Another option is to use mashed potatoes as the filling in Indian samosas, a savory pastry appetizer with peas and onions. You can also roll the potatoes into balls, coat them in batter and bread crumbs, and pan-fry them to make potato croquettes. 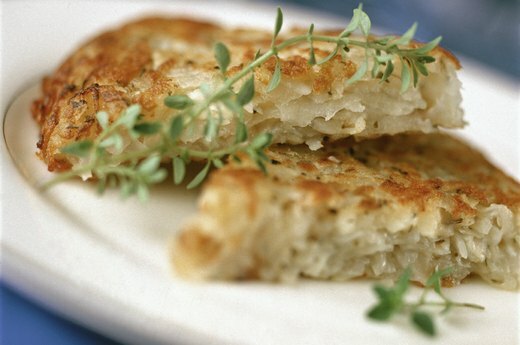 A favorite Hanukkah dish is the latke, a traditional potato pancake. If there are any left over, Bernstein likes to use them to make a brisket sandwich, where the pancakes replace the bread. "You would also need an au jus or gravy for the sandwich, or you can add applesauce or sour cream as the condiment," Bernstein says. "But we usually don't have leftover latkes, they're so popular." Take the leftovers from the vegetable side dishes of your meal, throw them in a hot wok and you've got a great base for a stir-fry, Bernstein suggests. Add some shrimp or pork and some seasoning, and eat it with rice, quinoa or even noodles. "This is also a great way to clean out the refrigerator," Bernstein says. Many holiday dishes call for just egg yolks, leaving you with way more egg whites than you know what to do with. 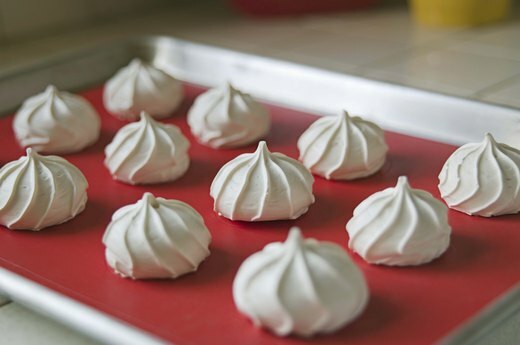 A great dessert idea is to make meringue cookies by beating the egg whites until they're frothy, adding sugar and baking them. "Make sure that it's not a humid day, or it won't set up," Bernstein says. If you haven't the time to make the dessert immediately, you can pour the egg whites into an ice cube tray and freeze them for use later. They can last for about three months if they're covered. You can make some delicious dishes with leftover bread, Bernstein says. 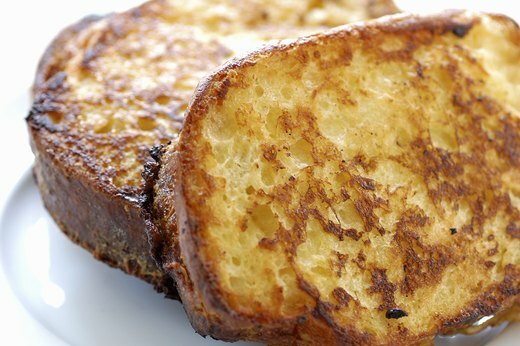 There's traditional French toast, if the bread is the right size, or bread pudding, or you can let the bread dry out and make croutons. You can also throw the bread into a food processor to make breadcrumbs and freeze it until you need it, Bernstein suggests. 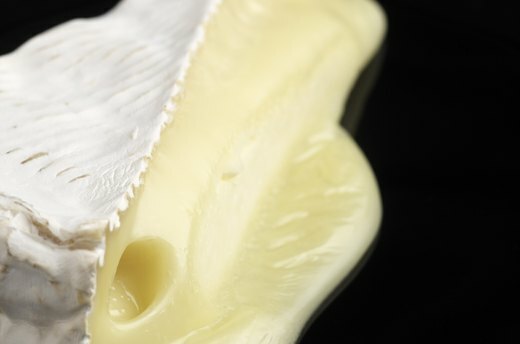 Many cheeses have thick rinds that are usually thrown out, but Bernstein suggests saving them to flavor soups, stews or risotto. 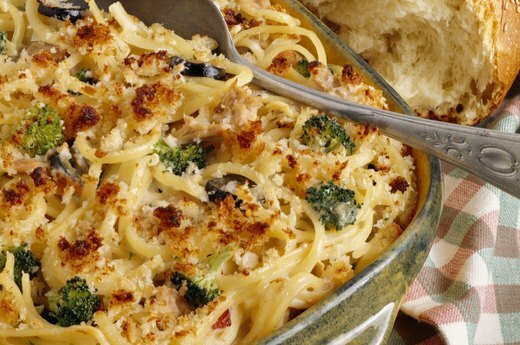 "That nutty flavor of the cheese will really enhance any slow-cooked dish," Bernstein says. "Just be sure to take it out of the dish before you eat it, like you would a bay leaf." Tomato sauces are a staple for many Italian holiday meals, and that can mean lots of leftover red sauce. Bernstein suggests livening up the sauce by using spaghetti squash, in lieu of noodles, for a unique texture and taste. 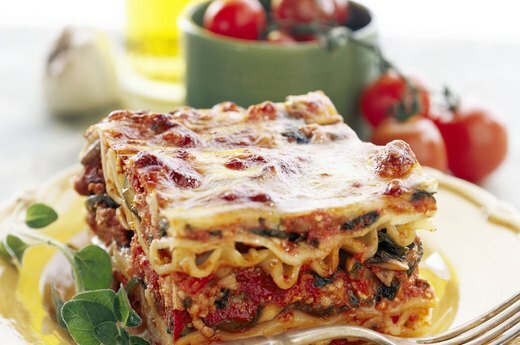 Leftover sauce can also be used to make vegetarian lasagna using slices of butternut squash (another holiday leftover) or pureed squash as filling. You can also freeze pasta sauce until you're ready to use it.